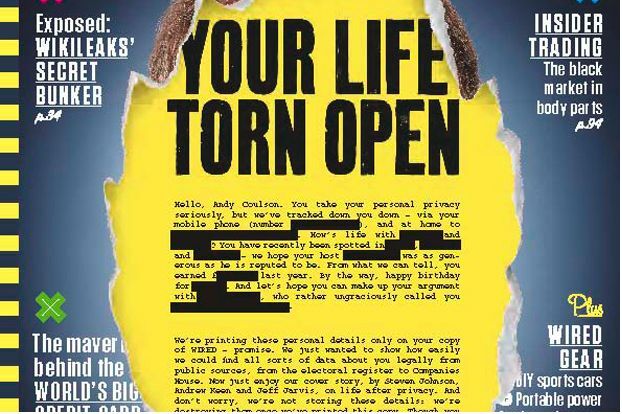 Wired magazine’s UK edition pulled off a nice stunt by collecting publicly available data on its subscribers and printing customized covers that greet individuals with freakishly accurate tidbits about themselves: Their birthday, whom they live with, even colorful comments about a recent online spat with a friend. Yikes. Yes, a clever troller (or buyer of an Experian list) can learn a lot about you. 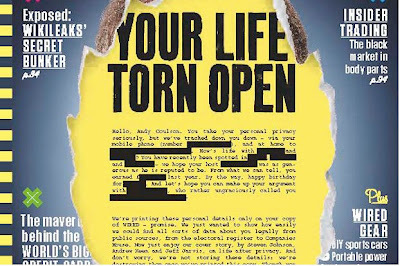 The more interesting question isn’t whether privacy is gone (it is, check your direct mail), but why similar ultra-personalization has never taken off as a marketing tactic. Don Peppers and Martha Rogers founded a consulting group in the 1990s devoted to advocating personalization based on 1to1 relationships — corporations learning to connect with individuals via data that recognized their personal interests. It was a visionary concept, where every behemoth of an organization could treat you as intimately as the owner of a local store. What happened? A few companies, such as Netflix, managed to make quasi-personalization work, but almost no marketer has nailed the 1to1 concept. Personal relationships between consumer and corporation gave way to networks of consumers talking among themselves; social media arose, and personalization was passed by as companies yearned for “viral” strategies to reach the masses, not individuals, ignoring them. If markets are efficient, and data collection has become easy, why aren’t you greeted at the mall with a digital sign saying, “Hello, Mr. Jones, welcome back, the shoes you like are on sale at the Smithswalk Outlet on Level 2”? Because 1to1 doesn’t sell as much volume as 1tomany (TV) or manytomany (viral success). Beyond the corporate incentives, 1to1 recognition may never have been what people needed. Perhaps we don’t want unexpected personalization at all, because the serendipity of random product encounters creates desire tied to a whim. Like cotton candy or a high school crush, the sugary rush of blood that comes from longing something unexpected is oh so satisfying, mainly because the desire surprises us with novelty. Or perhaps more simply, the aura of an unknown someone really knowing us, like a Wired UK magazine cover, just freaks us out.